I consider this post an extension of the one I posted previously, "How Mormons Should Think About The Presidential Election." So if you haven't already read that one, you might want to start with that first part or I'm likely to lose you here. In that previous piece, I put forward my reasons why believing latter-day Saints would be violating the core principles of their religion if they were to support any of the current presidential nominees. That previous post garnered some interesting reactions. Reader Mark Moe, for instance, wondered if my blog had finally jumped the shark. I have no idea what he meant by that. I know what it means to jump the shark, of course; a person or entity that has "jumped the shark" is presumed to have departed from the usual norm and crossed over into Crazyland, from which point everything starts to go downhill. I kind of thought this blog jumped the shark seven years ago with only its third offering. In terms of my credibility with the LDS mainstream, it's been all downhill from there. So I hope Mark will write in and explain why he thought that last piece was the one that kicked the casket down the driveway. "Jumping the Shark" refers to an episode in the fifth season of Happy Days, where Fonzie, wearing swim trunks and his trademark leather jacket, accepts a challenge to water ski over a live shark. 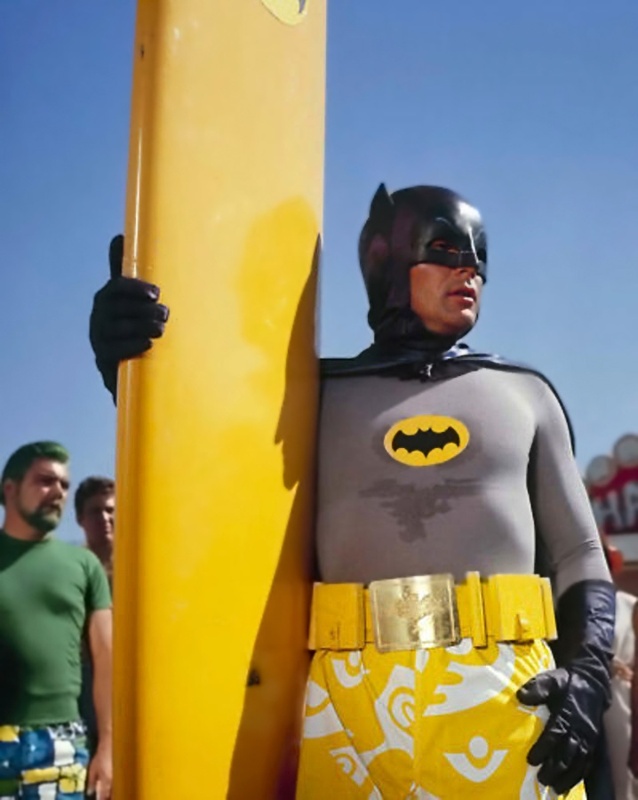 The shark jumping incident -ridiculously out of character for The Fonz- is seen by fans as an act of desperation on the part of the show's writers, and a harbinger of its eventual decline. No one ever looked more out of place in swim shorts than Fonzie. Unless you count this guy. At least a couple of readers called me out for what they perceived as my over-abiding faith in the constitution, since that document has done little to prevent our national decline. To those readers, I say: point well taken. But I wasn't finished talking. The constitution does not have the ability to police itself. In fact, politicians began to ignore its provisions before the 18th century was out, well within the first two decades of that document's ratification. The Constitution's mere existence certainly did not prevent even the near-perfect George Washington from overstepping his authority when he sent armed troops to put down the Whiskey Rebellion. And our second president, John Adams, the very guy who so zealously argued for the colonies to dump King George, forgot himself once he was in office and started behaving like a king himself, imprisoning those who had the temerity to point out that he was acting like a little tyrant. John Adams, Second President of the United States. It's hardly the fault of the constitution when the constitution isn't followed. That document lays out the rules intended to control those who are selected to lead our national government. 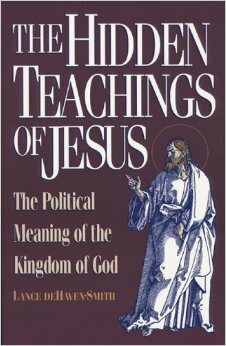 It has been aptly described as "America's Scripture." Yet don't we latter-day saints have scriptures of our own that we ignore? Scriptures that lay out the way in which our Church government is to be run? Do our leaders adhere to those rules? Not that often. Even though most of these rules were laid down by Jesus Himself through revelation, don't modern Church leaders often ignore those commandments for the sake of expediency? Why then should we be surprised when our national leaders also ignore the contract God prepared to keep them in their place? 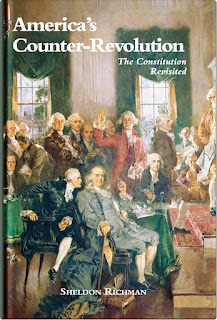 Just as we were taught in Primary that as long as we follow the prophet, all will be well (a teaching that contradicts pretty much everything revealed through Joseph Smith), we were also sold a bill of goods in grade school when we were told the constitution had checks and balances built into it, that the government therefore had the ability to self-correct. This resulted in generations of Americans not bothering to keep an eye on their elected representatives, because they were assured the government would police itself. Whether in politics or religion, the problem comes down to human nature. It seems to be human nature for some men to want to control others; to dictate how others should behave for the benefit of "the common good." James Madison, fourth U.S. president and widely considered the father of the constitution, understood how ambition to do good had led even otherwise great men as George Washington and John Adams to bend the rules to their liking, which is why Madison famously said that "if men were angels there would be no need for government," and thereby no need for a governing document. But men are not angels. If all Americans were followers of their true King, none of us would need to be forced to behave peaceably. The desire to do good continually would be already in our hearts. John Adams said "the constitution was intended for a moral and religious people; it is wholly inadequate for the government of any other." Adams was considered quite the moral and religious man, yet even he became self-righteously tyrannical when power was handed to him. We should remind ourselves that the U.S. Constitution may have been inspired, but it is not holy. We won't be governed by the U.S. constitution when we get to heaven. That document serves a practical purpose here on earth: to restrain human nature in those who aspire to lead. There is no coercion in heaven, so in heaven there is no need for a constitution intended to restrain force. Only here on earth, where men given authority tend to use that authority to exercise control over others, is there a need to rein men in. Those Americans fond of arrogantly chanting "U.S.A! U.S.A!" would do well to remember that those governing the U.S.A are automatically presumed to be inherently wicked, so wicked that they can't be trusted to control their own ambition. When Jesus said to Pilate, "My kingdom is not of this world," he was not saying that his kingdom does not belong on planet earth. His kingdom is very much intended to exist here. Rather, the phrase ouk estin ek tou kosmou, as we get it from the Greek, is better translated as "My kingdom is not part of this order," or "my kingdom has nothing in common with these earthly systems (for governing)." Yet we keep gravitating to a system where we want someone else -some Pontius Pilate or some kind of Ceasar- to run our lives for us. Our stark fear of how we'll possibly manage without collective force has been woven into Western civilization for three thousand years. And it never, ever works out for our good. "To the extent that faith and spirituality are cast aside and replaced by collectively enforced incentives and sanctions, the social order crumbles. Just look at our cities and our children! A social order based on the negative coercion of force and the positive coercion of recognition -a society organized, in other words, on power and glory rather than on love and faith- is a society built on sand. For Americans to constantly look to a system of government that today varies little from the order under which Pontius Pilate was operating, and hoping against hope that this time the person we select as our putative "king" will work out for the good, strikes me as a foolish hope. Earthly governments always rely on fear and force. That may be the best we can do right here and right now, but it is not the order God wishes for us to place ourselves under once we are awakened. Our moral free agency is the most important gift God gives us; "next to life itself" as president David O. McKay aptly put it. God gave us the Constitution not because the Constitution was perfect, but because it was a stop-gap compromise. Like the early Israelites, we're too dumb and prideful to govern ourselves. So we stupidly think some earthly king has the power to make us free. When he made that statement, Jefferson may have been getting in a little dig at his predecessor, John Adams. But he was also calling attention to the fact that the Federalists, the faction that had taken control of the congress and the judiciary, had been amassing power to themselves rather than looking out for the liberties of the common people. Jefferson considered himself a republican, which has nothing to do with the Republican (capital 'R') party, which would not be formed for another 60 years. Being guided by republican principles simply means recognizing that the constitution established a republican form of government, which means the majority doesn't rule. The founders specifically rejected forming a democracy, as they knew from their reading of history that democracies always devolve into mob rule, followed by dictatorship. There is one area in United States government where majority vote holds sway, and that is in the selection of the people's direct representatives. But even then, the representatives are bound by certain restrictions, restrictions that would prevent them from doing whatever the majority of the people were to dictate. And don't take their stuff. Sadly, as established in my previous post, America no longer works as she was designed to. When Jefferson took office, the government had been drifting toward a form of aristocratic control in the hands of a privileged few. 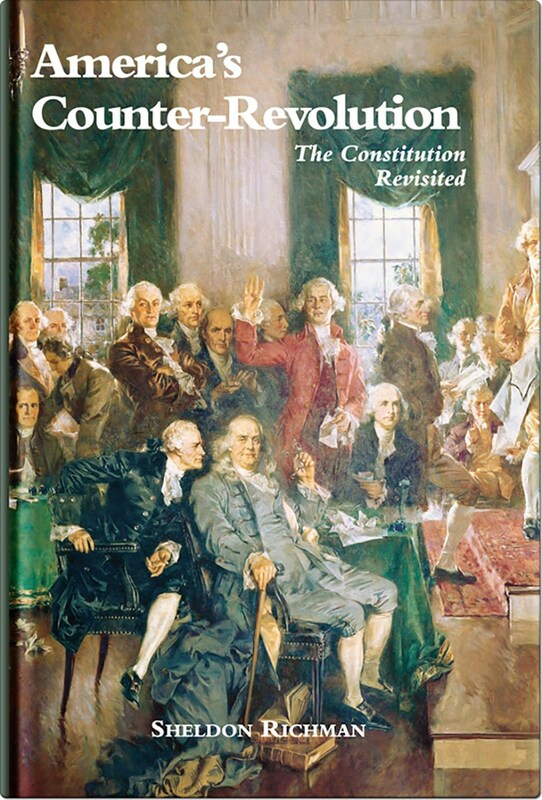 "The Federalists had spent twelve years pushing legislation through Congress that to Jefferson and other republicans undermined the Constitution and the 'spirit of '76.' The government had become too centralized, too British in character; and it needed swift reform. Jefferson went to work attempting to undo the Federalist takeover of the judicial branch. But he was rightly reluctant to wade into the affairs of Congress, believing that the chief executive's involvement in legislation would have rendered the presidency too close to an elected monarchy. Jefferson envisioned a country quite different from what we have today. With the acquisition of the vast stretches of land from the Louisiana Purchase, Jefferson believed -as had been the original thinking of most of the founders- that the states would continue as sovereign entities separate from the federal government; that the government in D.C. would represent a federation of independent sovereigns. Unfortunately, today we tend to think of the states as provinces under the rule of the president, who operates with royal prerogative like some kind of Emperor Over the Land. That explains why so many otherwise sane and reasonable folks become frantic every time election season rolls around. I'm writing this on a Saturday morning following two days of riots outside California venues where Donald Trump has been appearing. Why are these people rioting? Because they actually believe the upcoming election will result in the coronation of a king, and they fear what Donald Trump may do if he becomes America's king. These people should chill. And so should the people inside who hope to make Donald Trump their king. If Donald Trump is elected president, he will not have the power to build a wall across the border, nor will he be able to deport all the Muslims. He probably could if he were king. But the president of the United States is not a king. So if Trump is elected president, he will just be the guy who presides over the ten square miles occupied by the District of Columbia, and not much else. In order to deport all the Muslims and build that wall across the border with Mexico (which the former president of Mexico has adamantly insisted Mexico will not pay for), Donald Trump will have to ask for funding from the people's actual Representatives, and also get permission from the senate. He cannot simply do whatever he wants. This is not to say that whoever sits in the Oval Office is incapable of mischief. As long as the people permit their presidents to run roughshod over their rights, presidents will continue to do so. Bill Clinton took a boatload of liberties no president before him had ever tried to get away with, which served as precedents that George Bush built upon when he took office. Bush's additional usurpations made it that much easier for Obama to cross more lines, further basing his actions on the wrongful precedents set by Bush. So we should not remain blind when our presidents keep recklessly stepping over the line. This is how far we've slid: John F. Kennedy, a liberal Democrat with ideas considered so dangerous his election horrified conservatives like my parents, would be considered so far to the right today that he might never get elected. And I am not joking. In a match-up between Mitt Romney and JFK, Romney would be seen as the liberal Democrat. There is a simple way to keep our presidents out of mischief: just instruct our representatives in the House not to give them any money. How Did We Lose Control of Our Government? Later manufacturing giants such as J.P. Morgan, who personally owned 70 percent of the steel industry, and John D. Rockefeller of Standard Oil, colluded with other titans of industry such as International Harvester, General Electric, and others as they came to the collective realization that merely making money wasn't everything. The real power was not in manufacturing goods, but in manufacturing "influence capital;" that is, using money to control political outcomes. These wealthy barons soon shifted from making products to making money. They dropped the manufacturing game and focused on becoming bankers. Really, really powerful bankers. 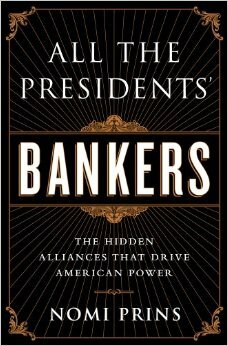 "By the end of the nineteenth century," writes Prins, "the titans of banking were replacing the titans of industry as the beacons of economic supremacy in the United States." Eventually, politicians discovered that J.P. Morgan's bank held more money and gold than the entire U.S. Treasury. As the government's need for money became more critical, the men who controlled the money became more powerful. And in 1910, the richest men in America had themselves a brilliant idea: "why don't we just run the whole country ourselves?" These men combined together in secret to hammer out a plan that in some respects resembled the ancient practice of "Tax Farming," except their modern version was far more nuanced and sophisticated. It was also nearly impossible to detect that private financiers were the ones now pulling the government's strings. The way tax farming worked in ancient times was like this: when a king found he needed vast amounts of money that he did not have, he would hire outsiders who would "farm" money off the king's subjects, shaking them down in return for a cut of the collections. This year it is estimated that the IR$ will bring in 3.3 TRILLION dollars in collections, and all of it goes directly into the pockets of the families of the six banking titans who originally concocted the scheme. None of your tax money goes to the government. Don't believe me? 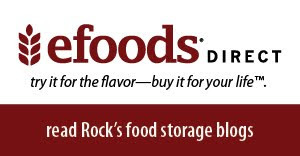 Look at who endorsed the back of that check you sent to the IRS last year. It says "Pay to any branch of the Federal Reserve Bank in payment for obligations incurred by the U.S. government." In other words, your hard earned cash is used to pay off the debts owed on money your government has already spent, and it's paid to those wealthy private families. You have been listed as collateral for the government's debt. You are nothing but a crop awaiting the farmer's sickle. Remember when the federal government "bailed out" the big banks following the crash of 2008? Most Americans whose homes plummeted in value thought that bailout would somehow benefit them, that they would get at least some relief from their rising mortgage payments. Then remember what a shock it was when the bankers took that 700 billion dollars of government money and awarded it all to themselves as performance bonuses? Giving away all that money to the already rich did not sit well with most Americans, who could not understand why their representatives would act against the people's clear wishes. Well, now you know why. Your representatives are owned. 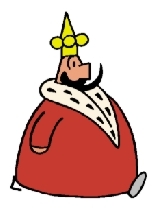 As we learned years ago from the Wizard of Id, "He who owns the gold makes the rules." Our representatives in congress had no choice but to do the bidding of their true masters. And here's the amazing part: The government did not have seven billion dollars to fork over to those banks. It first had to borrow the money from some of the same bankers they were handing it over to, which meant the bankers received that money twice. First they loaned 7 billion dollars to the U.S. Treasury, then the Treasury handed the money over to the bankers and their friends, and finally they got the money paid back to them that they loaned to the government so the government could give them all that money. These guys are brilliant. Devilishly brilliant. I promised, for what it's worth, that I would give my take on the major presidential candidates, (and before there's only two of them left standing.) As noted previously, my religion requires that I completely reject every one of them. I understand that sometimes people become very emotionally attached to the candidate of their choice, so I apologize in advance for being iconoclastic toward your idols. 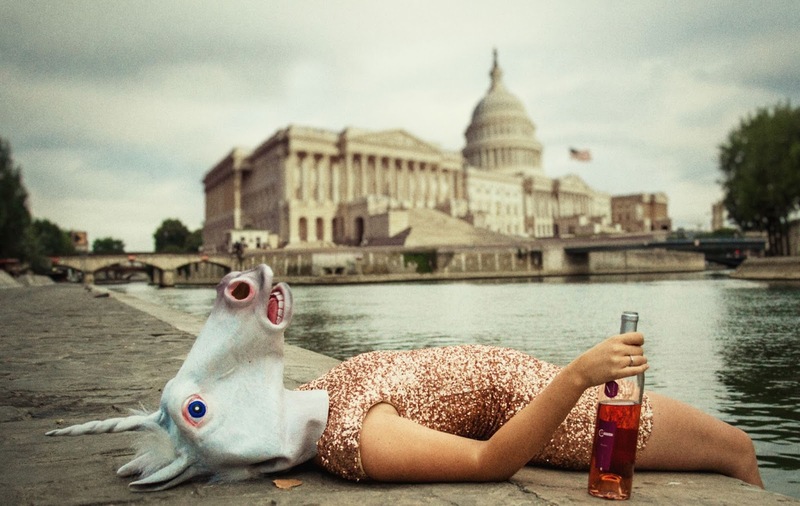 I like giving the horselaugh to presidential hopefuls, and I don't particularly care for their feelings, for the simple reason that they are usually campaigning for the opportunity to get in a position to hurt me and take my stuff. So I love watching when it all goes wrong for them. If you happen to be invested in any one of these fraudsters, for the next little while you can expect me to step on your toes. Sorry. It's not personal-it's politics. Since we're talking about banking and corruption, let's get Hillary Clinton out of the way first. It's loads of fun watching Hillary giving a rousing stump speech, but let's not forget she is a First Class hypocrite, a liar, and a convicted career criminal. There is no denying it. She is famously in the pockets of the Big Bankers, and it remains to be seen how long they'll continue to prop her up before she becomes a liability to them. I believe future historians will look back at our day and wonder how the American people ever put up with her for as long as they did, but if I'm around then for them to ask, I'll explain. Hillary Clinton was both horrifying and hilarious at the same time. She's horrif-arious. Ted Cruz, like Hillary, is an establishment politician masquerading as an outsider, a phony man of the people with insider bona fides. Like Hillary, he is owned by the bankers. He's a fraud, and it shows. His star is fading even as I write this. I'm going to miss Ted Cruz, because for sheer entertainment value, he was hard to beat. Most people think of Donald Trump as providing the comedy in this election cycle, but the joy of Ted Cruz is that you get to laugh at him, not with him, and that satisfies my mean streak. Cruz has no sense of irony about himself. Recall how every time he tries to inspire with his dramatically effusive rhetorical flourishes, he flops magnificently. And what could be better than watching him lose all five primary races last Tuesday, and then come forward to announce his new running mate? Or how about his pandering to Indiana Hoosiers on their own basketball court and not knowing what you're supposed to call that thing you drop the ball into? John Kasich remains in the race only because he is holding onto the slim hope that the Republicans will tire of the front runner, see him as the party's voice of reason, and magically nominate him at the convention. Good luck with that, Panckake Boy. The ruse could work, but like Ted Cruz, Kasich sits at the Bush-Cheney-Dole-Romney-McCain Neocon Establishment Loser's Table, so I'm betting it will backfire. Kasich is also beholden to the bankers (who isn't?) and the Republican rank and file are tired of the same old same old. So goodbye, John Kasich. It was nice not getting to know you. This brings us to Trump and Sanders, the two candidates widely presumed to be the most dangerous for America if either of them were to get elected president. But I hold a different view. I think either of these two would be the least dangerous presidents of any in the bunch, and I'll tell you why. Nobody likes them, that's why. Well, some people like them, but more people dislike them individually than the number who give a hoot. Sanders is looked upon with suspicion because he's a socialist, and Trump is looked on with suspicion because he's a jackass. My theory is that because they are so despised by members of their own parties as well as the parties of the opposition, both would have virtually no chance of getting away with anything while in office. An argument could be made that finally the American people may start to take seriously their political obligations and vote representatives who will deny Sanders and Trump the funding for any projects they might propose. You may ask, why couldn't the same be said of Hillary Clinton, because she is also widely despised? That plan won't work with Hillary. Because she's an entrenched establishment figure, a Hillary president would be business as usual, and she would get away with things for the same reason Obama did. Honest, legitimate opposition to Obama's policies were slammed down and written off as mere partisan grumbling -"that's just Republican sour grapes because their guy lost." Or worse yet, those with valid criticisms of Obama were written off as racists. With Hillary Clinton as our first female president, honest criticism will be dismissed as the sour grumblings of misogynists. So she will get away with stuff in ways the Trumpster or our first Socialist president might not. We actually could see some kind of awakening among the people if Trump or Sanders won. I'm not counting on it, but I am wishing for it. Gridlock is the way the government is actually supposed to work; changes should come slowly and methodically after calm deliberation. If presidents Trump or Sanders never get the go-ahead from Congress for any of their pet projects, we might finally get government back under control. I want to take a little more time to discuss both these "outsider" candidates, starting with Bernie. I have several good friends who happen to be LDS who feel Bernie Sanders' views most closely align with gospel principles. Certainly Sanders recognizes the dangers posed to America by Wall Street. And if Sanders were president, he would be less inclined than the other candidates to take America into unconstitutional military actions. So I understand the attraction of the movement behind Bernie Sanders for president. But as Will Tippens writes, there's only one problem with Bernie: he wants to start a revolution, but he forgot to bring any revolutionary ideas to the rally. "His policy prescriptions -far from fresh, radical, or different- have long comprised the political status quo in Washington. While it's true he often diagnoses real issues, he almost always suggests solutions that are a contributing or root cause of the problems in the first place." The problem as I see it, is that Sander's cure will be worse than the malady, and although Bernie recognizes that Wall Street greed is destroying the middle class, he does not seem to be aware that the problem goes far beyond the big investment houses. No president will ever be able to squash the bankers who own the Federal Reserve, because the Federal Reserve bankers now own the presidency. And they will continue to own whoever sits in the Oval Office until the people themselves awaken, as Moroni put it, to their "awful situation." I don't see that happening. Bernie's solution to big, out of control government, is for the government to get bigger and more out of control. I saw a Sanders supporter interviewed on TV saying, "I like that Bernie's a socialist. I think I'm a socialist myself!" When the reporter asked the woman what she thought socialism means, she guessed, "I think it just means to be real sociable, and that's me." This is not that different from the way some of my Mormon friends think. They think a socialist society would be something like a Zion society. But a Zion society operates voluntarily, where the people continue to own their own stuff, while at the same time looking out for one another. The difference in a Zion society is that hearts have been changed, so members of the society are inclined to give freely, making sure there are no poor among them. A socialist society, on the other hand, must be enforced by a police state. It can work no other way. Either you give what is demanded of you "for the common good," or it gets taken from you by force. Until recently I felt Bernie Sanders means well, though he is amazingly, stupefyingly ill-informed. His body does not appear to possess that important "think it through" gene. You may think the whole Bernie Sanders thing doesn't matter at this late date, because Sanders has no chance of being elected president. But the Bernie movement has legs, and Sanders' bad ideas will continue to infuse our national discourse with concepts that cannot work. Hillary Clinton's ideas are very close to what Bernie has been proposing; her views only differ from his in slightly discernible degrees. 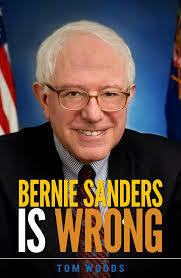 That's why I encourage my friends to read Tom Woods' free book, Bernie Sanders is Wrong. This breezy book not only puts to rest the fable of a socialist paradise in Denmark, but it also shows that the women working today in the Obama White House are getting paid 12 percent less than their male counterparts. That wage difference is guaranteed to continue if Hillary Clinton retakes the White House, just as it did when her husband was president, and will if Bernie gets in. The book explains why that wage gap exists. Bernie Sanders' solution to the banking problem is to have government take over the banks. As P.J. O'Roarke quipped, that's like saying "Dad ruined dinner. Let's let the dog do the cooking now." Would you like to know where Bernie really lost me? It's when I finally realized the man was not just ill-informed; he was a hypocrite. And I'm not just talking about his yes vote to bail out the bankers on June 15, 2009. That two-faced act was bad enough. I'm talking about Bernie's trip to the theater with his wife. I saw a news blurb reporting that Bernie Sanders had attended a showing of the musical "Hamilton" and he liked it! Not only liked it, but quoted from it on the campaign trail. Now let this sink in. Here is the presidential candidate who spends his campaign railing against how big money is destroying the system, then he ends up raving about a show celebrating the one man from the founding era who worked tirelessly to put that corrupt system into place. I was dumbfounded. Here's Bernie Sanders on the one hand calling for a rout of the big bankers, while on the other hand he's offering up praise to the father of America's first central bank. Somebody pinch me, I gotta be hallucinating! And this is the guy Bernie "Enemy of Campaign Contributions" Sanders has been quoting on the stump? This is the candidate who has vowed, if elected, to dismantle corruption in Washington? Bernie, don't play me for a fool. Alexander Hamilton may as well danced on the graves of every single patriot who gave his life in the American revolution. He was as much a traitor to the American cause as Benedict Arnold, if not more so, the effects of Hamilton's betrayal are still with us. At least you don't find people singing glowing praises to Benedict Arnold on the Broadway stage. 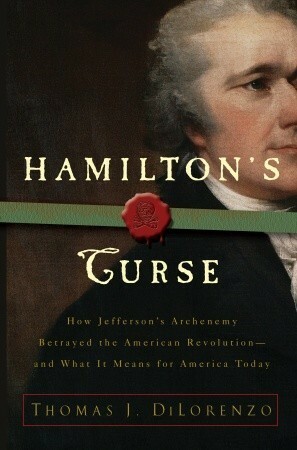 I wondered what possessed the author of the play to create a tribute to the turd in America's revolutionary punch bowl. A bit of research turned up the story. Lin-Manuel Miranda had read a book about Alexander Hamilton, and that book inspired him to write this musical. He should have read a second book in order to get a little balance to his story. Because Ron Chernow, the author of the book Miranda read, is one of those hack biographers who is enamored with the rich, powerful, and corrupt. And not just your run-of-the-mill rich, powerful, and corrupt. 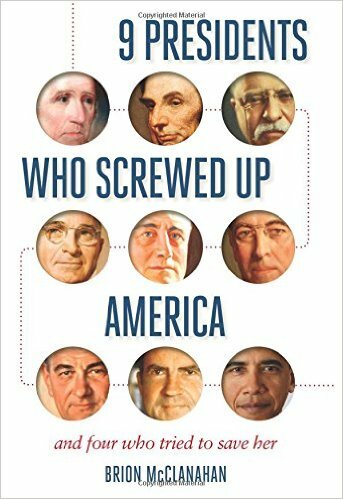 Chernow writes biographies of the lives of famous people who took pleasure in stomping the life out of the little people on their way to the top. Chernow's books are popular with both Republican and Democrat elites for the same reason Machiavelli is admired in those circles. Lin-Manuel Miranda should have read a second book about Alexander Hamilton. 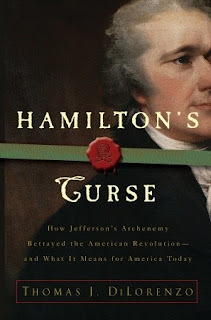 I'll happily suggest one: Hamilton's Curse: How Jefferson's Arch-Enemy Betrayed The American Revolution-And What It Means For Americans Today, by an actual Constitution-era scholar, Thomas DiLorenzo. In the years following the American Revolution, two competing schools of thought emerged on what kind of nation the newly formed America should be. On one side was the the aristocratic class. These upper-crust snooty-snoots wanted America to be great. America's greatness would contribute to their own status as fashionable, stylish, well-considered fops. That camp is best represented by aristocratic wannabes like Alexander Hamilton. In the other camp were champions of the common people such as Thomas Paine, Samuel Adams, Patrick Henry, and Thomas Jefferson. These and their compatriots wanted America to be free. You may have noticed that freedom lost the battle long-term. As George Will wrote, we are fond of quoting Jefferson, but we live in Hamilton's world. "Hamilton harbored the bloody impulse to literally murder tax dissenters and anyone who challenged the 'authority' of the federal government, as was proven by his behavior during the Pennsylvania Whiskey Rebellion. "Hamilton was the political water boy for the crony capitalist one-percenters of his day. All of his efforts to create a bank run by politicians out of the nation’s capital (the First Bank of the United States) had one main purpose: to provide cheap credit for his big business political patrons in New York and Philadelphia, and to subsidize the banking industry itself, at the expense of the general public....He wanted to bring the rotten, corrupt, British system of “mercantilism,” against which the Revolution had been fought, to America, run by Americans like himself and his New York political cronies." That's the type of "anti-establishment" hero Bernie Sanders identifies with. I've long believed poor Bernie Sanders was misguided at best; but at least I thought he came to the table with honest intentions. I'm not so sure anymore about his integrity. Sanders' recent praise for the monster Alexander Hamilton betrays Sanders as just another big-government shill posing as a man of the people. Either that or he's just incredibly, mind-bogglingly stupid. What are we to make of Donald Trump? He's vain, narcissistic, and morally unfit to be president. In other words, no different than any of the others. A story is told of a man who needs to get rid of a nest of raccoons in his attic. These raccoons have been plaguing him for a very long time and they are entrenched. They won't leave. The man learns of an exterminator, but this exterminator turns out to be an insufferable jerk. But the man also hears that raccoons are terrified of this guy. The man calls the exterminator, and sure enough, the exterminator turns out to be a Class-A jackass. Vulgar. Low class. No social filter. The homeowner decides he doesn't care what kind of person the exterminator is, as long as the guy can scare off the raccoons. So he hires the guy, the raccoons make a terrible racket as they scamper away, but in the end, the important thing is the raccoons are gone. Jerk-Face succeeded in getting the raccoons out of the man's attic, which is all the man cared about anyway. There's no question Americans are ready for a disruptor. The fact that the party leaders establishment republicans are panicked that populist sentiment is on the upswing fills me with joy and rapture. Those entrenched raccoons deserve to be shook up. I just wish it was somebody else but this guy doing the exterminating. Donald Trump is the wrong guy at the right time. Too bad Ron or Rand Paul didn't have the foresight to present themselves as crass, vulgar, and narcissistic, or they might have gotten the kind of coverage the media gave to Donald Trump. Four years ago, the Ron Paul movement early on reached numbers rivaling those of Donald Trump. But unlike Trump's candidacy, which the media treated as a joke, the establishment understood Ron Paul could actually win if the masses were exposed to his message. So they engaged in a wholesale media blackout on the only candidate who would have made the perfect president; the only one who ran on the things he didn't want to do. I don't want to see either Trump or Hillary Clinton as president of the United States, But let me tell you what I do want to see: a debate between the two of them. In terms of sheer entertainment, that's going to be awesome. That first debate is going to pull first-man-to-walk-on-the-moon numbers. Look, sooner or later this government is going to fall in and collapse on itself. There's nothing any of us can do about that. We may as well enjoy the collapse while we can, before it's all gone and there are no more politicians left to point and laugh at. I suppose my biggest objection to Donald Trump is his constant braggadocio about "Making America Great Again." What does that even mean? And how in hell does he think he can do it? To paraphrase de Toqueville, America is great because America is free. If America ever ceases to be free, she will cease to be great. God did not intend for other nations to envy America. He intended them to emulate us. We were supposed to be the shining city on a hill, not the baddest sonofabitch in the valley. The hope was not that all nations would fear us, but that they would aspire to be like us. Is it any wonder America today is looked upon with disdain on the world stage, even by our supposed friends? We have become the great big boastful bully on the block, blissfully unaware we have nothing left to boast about. Except maybe how awesomely great we are. The question we should be asking Donald Trump is "can he be bought? Can the influence traders influence him with even more money? Hard to tell, but he does have an achilles heel: his massive ego. I think the Money Masters could easily persuade Trump to involve America in some foolish adventure by convincing him it would demonstrate his personal greatness to the world. "It'll be HUUUUUGE," is all they would have to say to get him to go along. Don't confuse the Republican Party leaders with the real power behind the throne. While it's true the party apparatchiks fear Donald Trump, they are not the real power. They're more like middle managers. The real question is: how do Wall Street and members of the FED feel about Donald Trump? Is he malleable? If the real Powers That Be didn't want Donald Trump to get this far, they would have squashed him by now. So one has to wonder about their game plan. Controversial political analyst David Icke recently speculated in an interview that Donald Trump may be playing a special role of bringing voters back into the system over the belief that "this time America may see some real change." "The vast majority of Americans have completely stopped participating in elections because they know the game is rigged. In spite of all the hoopla over Barack Obama being the savior of America, in the last election Obama got less than 66 million votes out of a population of almost 226 million Americans of voting age. Certainly if any candidate could get the populace out of their apathy, it would revive confidence in the system. "I remember saying to him, 'look mate, I don't want to take your money,' because it was painfully obvious that Obama was the same. One simple reason alone among many others: Obama broke all the records for funding. The funding for his campaign came from all the usual suspects, the banks and the corporations. They're not turkeys voting for Christmas. "So what the people were saying -because he had this constant mantra, 'I stand for change! I stand for change! I stand for change! 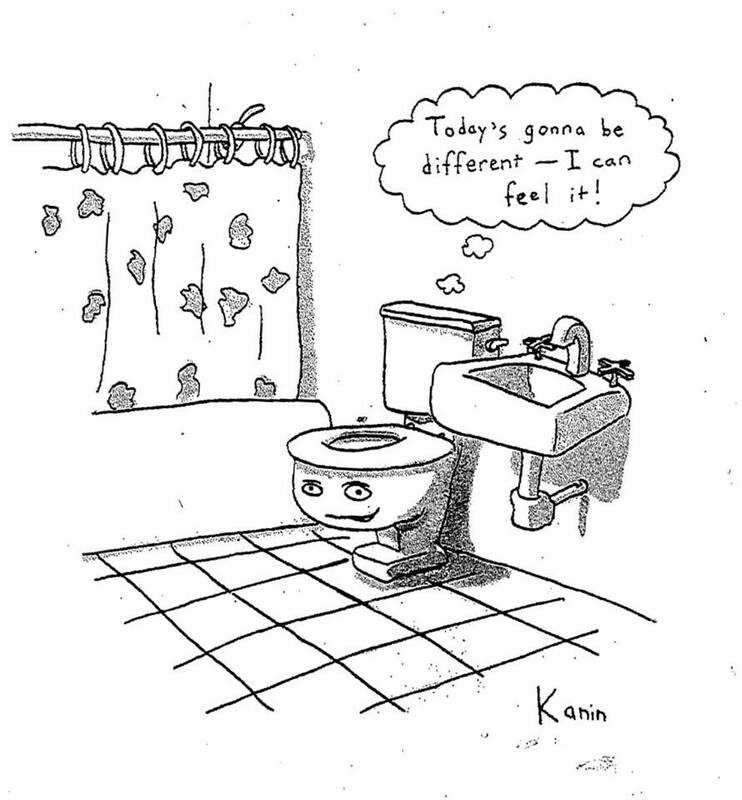 '-was that he was different. They bought it. And of course what he turned out to be was just the continuation of what went before. "You know, the list of countries for so-called regime change that appeared in that document by the Project For A New American Century, the authors of which then came to power with Bush in early 2001, revealed a list of countries that they wanted to 'regime change' using 'multiple theater wars' in their language. They were Iraq, they were Syria, they were Libya, and so on. But they hadn't done all of them by the time Obama came in. And he's a Democrat, right? He's not Bush. Yet what has he done? He's continued to do the same, to pick off the same countries on the list! "So let's ask a few things here: First of all, it's known that the alternative media, saying that -quite rightly- the whole banking system/financial system is controlled by a network of the 'hidden hand' and creates money out of nothing on computer screens. And that basically creates money; as a debt, to start with, used as the foundation of so many of the human problems and so many of the aspects of human control. "But here we have a guy who claims to be a billionaire who's made his fortune overwhelmingly in property and things like that, which requires enormous amounts of cash flow from the financial system! And if Donald Trump wasn't serving that system, and wasn't at least, the very least, acceptable to that system, they could have crushed him any time they wanted. "And yet I see people say, 'although this guy's done all of this; although he's been connected with some very, very shady people in his life, that somehow he's different.' I think it's incredibly naive to think this guy came out of nowhere. I mean, look back to 2008, mate. It appeared that Obama had come out of nowhere. These people do. At the very least Trump is acceptable to them. "And some of the things that he's said, about for instance killing the families of terrorists -I mean it's just bizarre. Ludicrous. "You know, I've been researching all this now for 25, 26 years nearly, and one of my rules is 'don't judge every step at the moment the step's being taken.' We're not really gonna have a really sound fix on what this Trump thing is all about until after the conventions and we see what comes out after that and which way it goes. Because the political system is totally, totally rigged. And therefore, if someone is coming through the political system and is able to fund it all, then there's a reason behind it and it's not just all spontaneous. "There's another aspect to this that I would suggest. Because of this process over the decades of two blatant masks on the same face being put forward for you to say which one do you want -they call it choice- people have become more and more disillusioned with the political system and cease to see it as a way to change anything. And if you lack the audience for it -the credibility of it in the eyes of more and more people has been falling and falling and falling- they need to shore up this political system so it stays in place, to continue to do what it's done all along, which is put puppets in power. "In terms of a focus on the political system: Trump, Clinton, Obama have been godsends when it comes to the actual political campaign and maintaining an interest in it. What we've had recently with the trouble at the Trump events with people protesting, and Trump supporters hurling abuse back and the abuse going both ways; that's what the system wants! It's classic divide and rule. People are being manipulated to hurl abuse at one group of their fellow Americans, and abuse is coming back to their group of Americans. And it's over complete irrelevance, in my view. An irrelevance. Because in the end, whoever gets into the White House, what the elite want, will happen. Unless the people stop it. Like I said last month, the best plan is not to take any of it seriously. If you are like me and enjoy watching self-righeous prigs squabble and gaffe, by all means, plant yourself in front of the television and soak it in. These may be among the last laughs you get before the country you love completes its inevitable slide into the abyss. Has any candidate I've cast my vote for ever won the presidency? Nope. Never. Not once. But somewhere in New York and Washington, The Powers That Be are looking on the numbers of voters (in the millions) that represent a growing wave of dissatisfaction out here in the hinterlands. I like knowing that they know the natives are getting increasingly restless with their quadrennial con. And I like knowing they worry about our increasing numbers. Besides, when I finally stand before my maker to be judged for my many, many sins, at least I'll be able to say I never threw away my vote on a candidate who helped to hasten the destruction of my country. I think that should count for something.